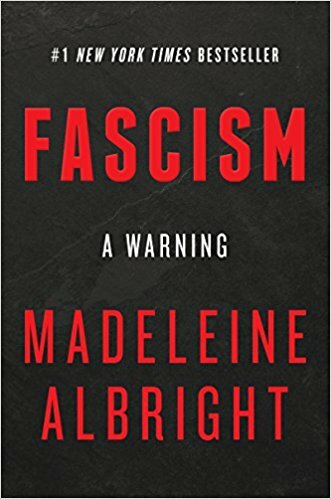 Here at UUAWOL ministries headquarters, the book of the month for September, 2018, is Madeleine Albright's book, Fascism: A Warning. This book is very relevant for those involved in UUAWOL ministries because it touches on the societal manifestations of our UU principles. 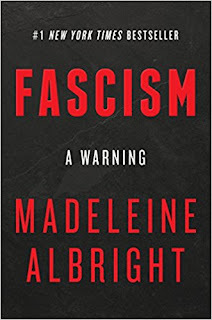 I am enjoying and learning a lot from Madeleine Albright's book Fascism: A Warning. Right out of the gate she asks on page 4, "Why are many people in positions of power seeking to undermine public confidence in elections, the courts, the media, and - on the fundamental question of the earth's future - science?" In other words, why are so many people, especially people in power showing not only a disregard, but contempt and disdain for UUs fifth principle, the right of conscience and the use of democratic process? As if this question is not enough, she continues with the next sentence being, "Why have such dangerous splits been allowed to develop between rich and poor, urban and rural, those with higher education and those without?" Albright's question focuses on the heart of UUs second principle which is justice, equity, and compassion in human relations. And she continues with the following sentence, "Why has the United States - at least temporarily- abdicated its leadership in world affairs?" This question gets at UUs sixth principle which is the goal of world community with peace, liberty and justice for all. And Albright ends the paragraph with the following sentence, "And why, this far into the twenty-first century, are we once again talking about Fascism?" We are talking about fascism because it is the antithesis of what is good, beautiful, and true and works against the sanctification of the world and the appreciation of UUs first principle, the inherent worth and dignity of every person. 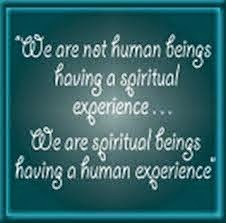 Stupidity or lack of awareness, or what might be called spiritual poverty. Fears generated by rapid social change leading to fears of missing out - FOMO. 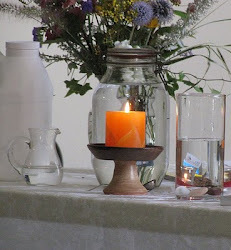 The world, and the United States in particular at this time with ascendency of Trumpism, have a need for the vision of Unitarian Univeralism A Way Of Life Ministries which is to facilitate the growth of holiness among the men and women in this world. This is the first of several articles which will be published over the next 4 weeks about this book. Please leave your comments.